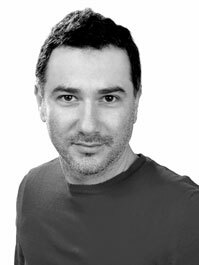 Ioannis Pissourios holds a Diploma of Architecture (Dipl Eng) and an MSc in Geography and Cartography. He also holds a Ph.D. in Urban Planning and pursued Post-Doctorate Research in Urban Planning, both of which were funded, the first by the State Scholarships Foundation of Greece and the second by the AUTh Research Committee. He has written 20 articles in peer-reviewed journals and collective volumes, published by Elsevier, Springer and Taylor & Francis among others. He has designed more than 30 residential buildings, while as an urban planner he contributed in 12 Greek and European Research Programs and has also participated in the preparation of several urban plans, such as the planning of the EXPO 2008 World Fair in the Municipality of Thessaloniki, the relocation plan of the Aristotle University of Thessaloniki, and the planning of the Lachanokipi Business Center in Thessaloniki. Since 2003 he has lectured at various Greek and Cypriot universities on urban design and town and regional planning, both at undergraduate and postgraduate level.